Over the past 3 weeks I have spoken to a number of senior executives in local government, testing out the ideas in our recent publication ‘The Inflection Point’. So far, everyone has agreed that choices made in the next 6 months will set direction for the next 5-10 years, not just for the next year, and that this is a unique time. A recent book by Michael Barber, looking at what it takes to deliver transformational reform in public services, has lots of good ideas. In an early chapter he discusses the importance of targets, which became controversial in the Blair era. He reminds us all that the target is not the end, it is a means to an end. The end must have a ‘wider moral purpose’. In that context, anytime someone presents me with a ‘window of opportunity’ I can’t help but feel cynical. Many people get revved up by the time pressure: “This window is going to shut soon! Act now!” In doing so they may neglect to spend time considering the actual goal, is it worth it? And, perhaps more importantly, is it where I actually want to go in the medium and long term? Having to set your own goals is both empowering and intimidating. Local government is trying to embrace this challenge. In ‘The Inflection Point’ we place much more emphasis on the importance of choosing, rather than the length of time available. Nevertheless, timing is important. We think the period is the budget setting process for 16-17. The space programme’s of the 1960s generated the concept of a ‘window of opportunity’. This is a short period of time where the planets are aligned, during which the rocket must be launched to reach a particular target. Importantly, the goal is positive and owned – “I want to send a man to land on the moon”. The goal comes first. The window, although real and time-limited, is only a means to an end. Whilst things can seem difficult and sometimes terrible with the financial reductions facing authorities, let’s look on the bright side. Local government in middle ages Prague was a physically risky business; The First Defenestration of Prague involved the killing of seven members of the city council by a crowd of radical Czech Hussites on 30 July 1419. Windows payed a key role. 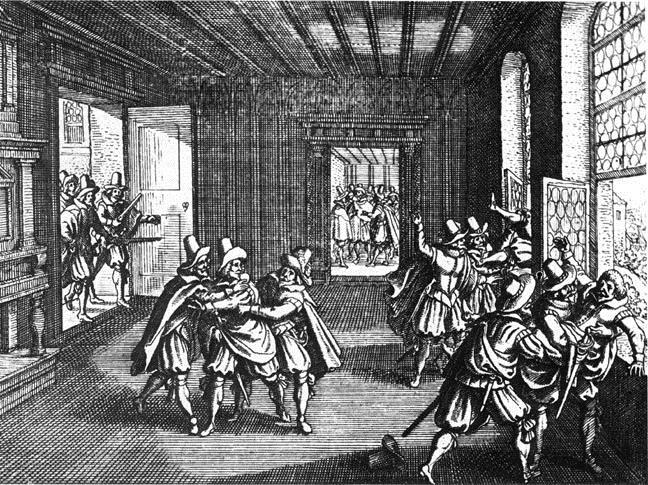 Defenestration literally means ‘being thrown out of the window’ of the New Town Hall on Charles Square, where they were killed by the fall or dispatched by the mob. Let’s not blame the window. It was just a means to an end.